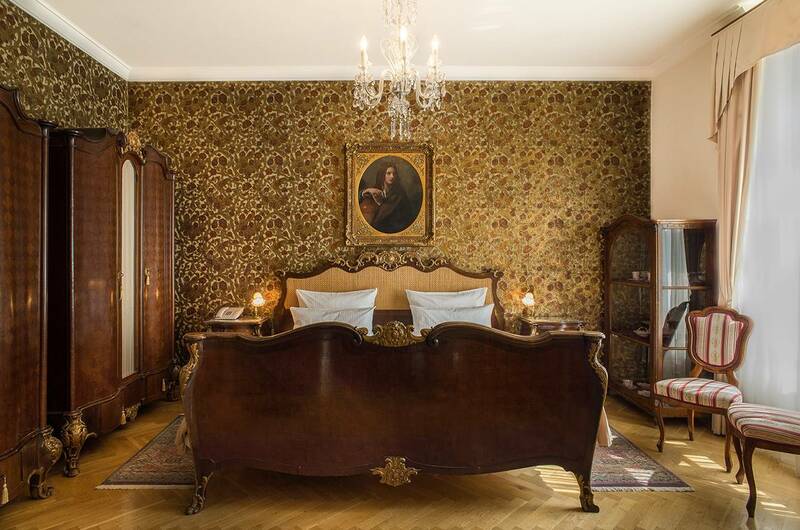 A historical suite with unforgettable atmosphere and furnishings of the beginning of the last century. 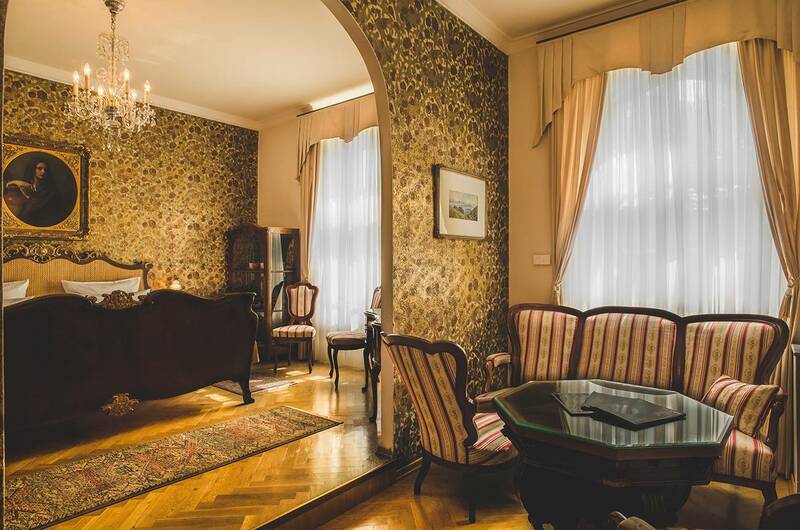 A suite has 35m2 / 377sq of space and it is suitable for honeymoon stay. 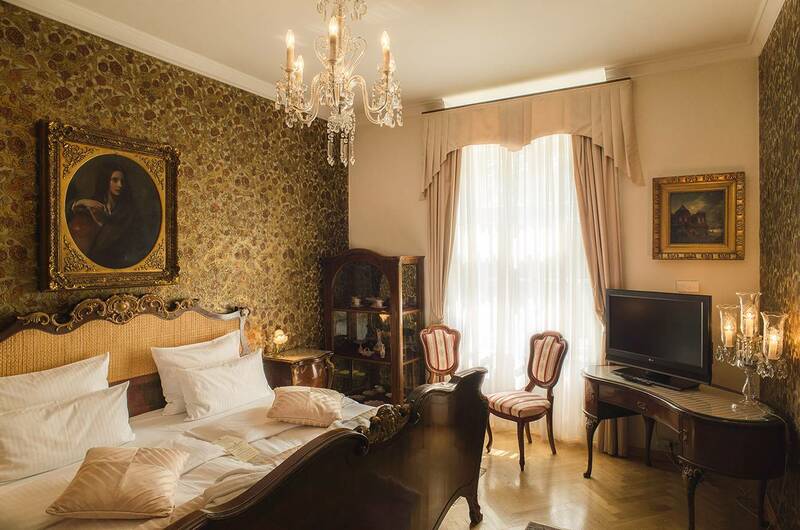 There are two rooms, bedroom with king size bed and sitting area. All rooms have a city view. Marble bathroom with shower or bathtub and bathroom fittings Hans Grohe and BIO cosmetics Naturals.